More so than most white rappers, Macklemore has been willing to talk about the advantages that his skin color affords him in the larger public space. On occasion, that willingness has gotten him into trouble, like the time he texted Kendrick Lamar apologizing for his wins at the Grammys and then publicly posted said apology to social media. But on other occasions, it’s sparked an important conversation, like this hour-long interview he gave to Hot 97 last year. 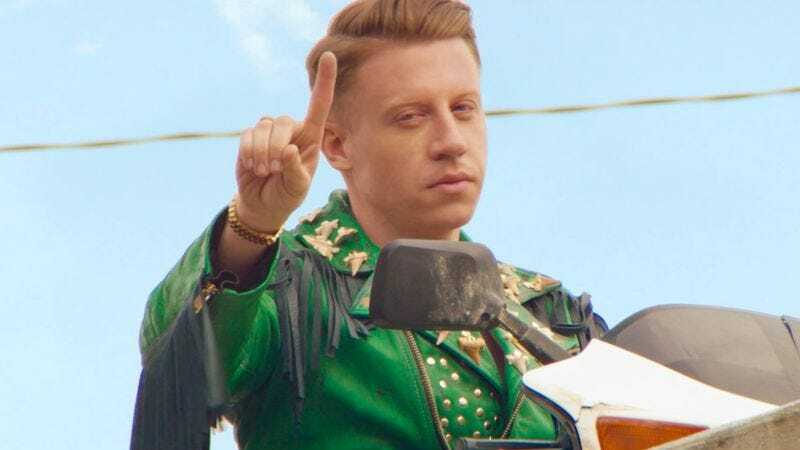 For the latest song taken from his upcoming record This Unruly Mess I’ve Made, titled “White Privilege II,” Macklemore again revisits that issue in a nearly nine-minute long movement-by-movement self-excoriation. In the song, he takes aim not only at himself, (“Is it my place to give my two cents / or should I stand on the side and shut my mouth for justice?”) but also other artists who’ve appropriated black culture (“you’re Miley [Cyrus], you’re Elvis, you’re Iggy Azalea / fake and so plastic, you’ve heisted the magic”) as well as a larger white society unwilling to even examine the issue (“your silence is a luxury”). This Unruly Mess I’ve Made comes out on February 26th. Listen to “White Privilege II” below.